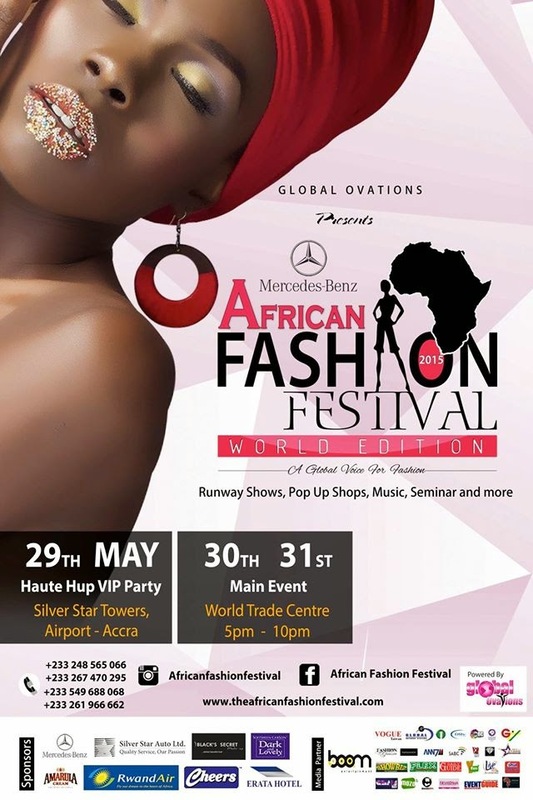 Next week, the world will arrived in Accra for Mercedes Benz African Fashion Festival 2015 (World Edition). The anticipated event has been scheduled to be held between May 29 to 31 at World Trade Center in Accra to showcase some of the world’s most innovative fashion brands. There will be catwalk shows, style advice, talks, and even a selection of exclusive pop-up shops from over 50 of the world’s best-loved labels. With the idea of the ‘global community’ in mind, the 2015 edition of the fashion festival is tagged: “The World edition”. Fashion designers from across the world will meet to celebrate fashion, and buying companies will also be present. The festival aims to celebrate women and raise breast cancer awareness, with 30 percent of tickets sold going to a project (that is yet to be named). There will be a live telecast of the event on fashion channels across the continent. What are you waiting for? Visit the tickets sale outlet to get your ticket NOW.